Heat oven to 425°F. Grease bottom and sides of 9-inch square pan with shortening or cooking spray. In large bowl, stir Bisquick mix, 1/2 cup flour, 1/2 cup brown sugar, the bananas, milk and vanilla. Gently fold in chocolate chips. Pour into pan. In medium bowl, mix 1/4 cup brown sugar, 1/4 cup flour and the cinnamon. Cut in butter, using pastry blender (or pulling 2 table knives through ingredients in opposite directions), until mixture is crumbly. Sprinkle topping evenly over batter in pan. Bake 17 to 20 minutes or until toothpick inserted in center comes out clean. Cool on cooling rack. 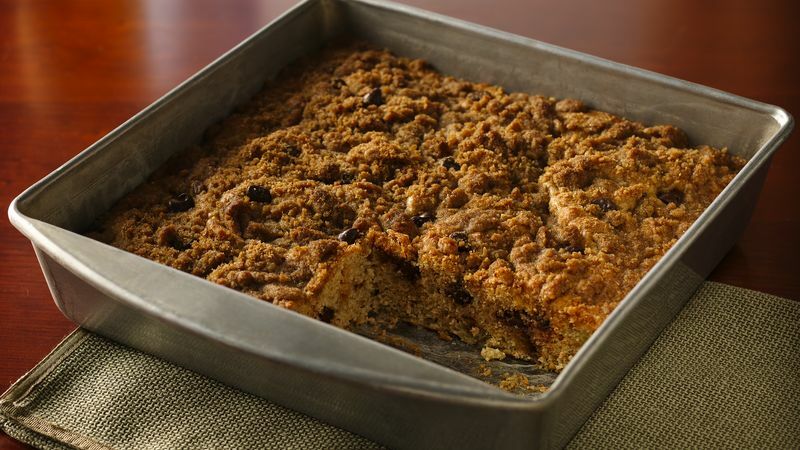 For a more rustic version, used chocolate chunks or chopped chocolate bars instead of chips. Cut into smaller squares for party-size bites.